in South Korea almost all of those people you pass by in the subway have an alternate life . in CyberSpace . linked by physical lines thanks to compressed living in crowded cities . and even the cities are not afar .. in a small landmass by-the-sea . more akin is the family-oriented traditional culture where students of different grades in school will call each other sister and brother . add to this the tight-fisted doctrines of dictators that governed its people into the modern era . on-line communities in South Korea started in 1992, in a text-based environment shown in black-and-white monitors before the colorful point-and-click days of Windows . Hitel, then a pioneering company gave away on-line machines for those without computers to connect via modem . a device that enabled you to connect via existing telephone lines – very similar to MiniTels given away by the French Post Office in 1982 .
their 2nd competition were Chollian and NowCom, then Unitel which was the fore-bearer of more graphical interfaces that will come to dominate in the age of Windows . these early on-line portals comprised of largely 2 parts : first their information sites divided into categories run by already-existing companies providing related range of products or services, and the communities . these were divided into sub-categories from age-based to hobbies, but the most popular were technology-based since it was those kind of early-adopters who logged into the still barren cyber space . 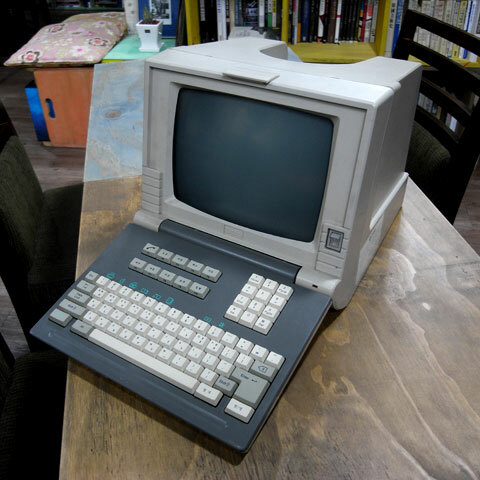 this included many computer hardware and Windows-related communities, but another sort emerged : regional communities with those living in the affluent areas of the new-found KangNam, South of the an River, the object of the first Real-Estate Boom in Modern Korea . another popular genre was of newfound leisure activities such as skiing, borne on-time when its citizen would gradually loosened up from the war-stricken, military-controlled days . 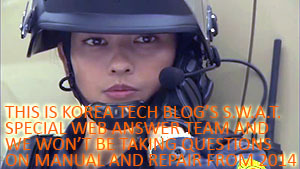 with the influx of Windows, on-line communities spread onto mainstream life in South Korea towards the end of Century . and with flashy graphic interface, new companies rose into stardom such as Daum, FreeChal, SayClub, CyWorld, Naver, and many, many more . these “Internet Portals” had slightly different approach to forming and running communities, where Daum and Naver developed into full-fledge Search Engines, while SayClub were more of a “chatting site” . CyWorld struct up a key element in the young generation enticing everyone to set up and own a ‘Mini Hompy’, a small window on your monitor where you opened up your own name card (later MySpace took up on this note), with your own introduction followed by your own photo album and diary (smaller version of the Blog which was to hit later). with the success of SayClub, several Chatting Sites opened including those for mature users even developing into on-line singles bars and some into companion services . and while the most popular communities seem to gather around Daum over the Millennium, we see the tide turning towards Naver as we head into the Space Odessey of 2010 . this is a thriving and very competitive market that there is no place for MySpace & FaceBook, except for expats and returning Koreans from abroad . but a funny thing happened on the way crossing the Millennium : with South Korea becoming the country with the fastest Internet connection at home, storage sites, in conjunction with the notion P2P (person-to-person) file sharing, popped up everywhere charging solid monthly payment or by traffic . no, I cannot mention the companies because they come and go, perhaps by the same operators . their main business is storing movies and are shut off by foreign search engines because it’s all members-only . it might seem they are the ones making easy money through Hollywood movies, but it is actually the larger Internet Access Providers who profit so much from this grey area . more transparent are the new sites now in Global form, originating from abroad and offering the Korean-translated version for the locals, such as MSN, Google and YouTube . oh YouTube caught on pretty slow in Korea because other streaming services more tuned to faster connection have appeared AND for those PMP (portable movie players). there are also several Korean Blogging platforms both on-line where Naver just won over Daum and software-based where TISTORY run by Daum is gaining popularity for now, but the verdict is still out because there are many of them, also coming and going . Looking for some help this time. I already emailed IPTIME for support but since its in english its not looking good. I want to flash my IPTIME T2008 to DD-WRT firmware. Does korea have any 8 port routers that can be flashed to it? hello again, your model DOES support DD-WRT firmware, but you are on your own for ipTime Support will only repeat they have no information on such subject . especially since ipTime’s firmware is updated extensively and then AnyGate some ..
and the layout of lettering would be self-explanatory . 2.Wireless security so that others around won’t take your bandwidth ..
thus would NOT translate for each model even though the expat community is substantial . I have my Samsung galaxy S anycall korean version in Nepal please tell me how to connect GPRS and 3G network service?